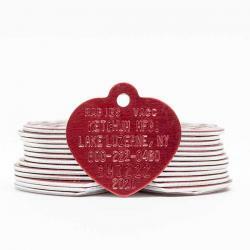 Rabies Tags | 2020 Rabies Tag | Ketchum Mfg. 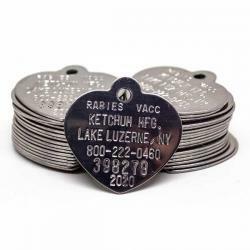 Co.
Every dog and cat needs rabies vaccination tags in addition to their regular pet identification tags, and you can find exactly what you're looking for right here at Ketchum. 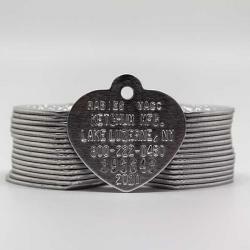 Locally produced and manufactured in upstate New York, our rabies tags are built from the highest quality aluminum, brass or steel for lasting durability. 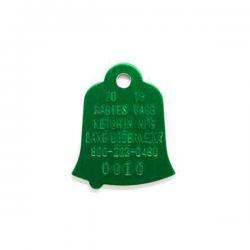 Choose between our options for colors, sizes and shapes to find the exact rabies tags you're looking for. Rabies is a deadly disease caused by a virus that attacks the central nervous system (brain and spinal cord). Infected mammals can transmit rabies virus to humans and other mammals. Rabies is almost always fatal once symptoms appear. Fortunately, only a few human cases are reported each year in the United States. The first sign of rabies is usually a change in an animal's behavior. It may become unusually aggressive or tame. The animal may lose its fear of people and natural enemies. A wild animal may appear affectionate and friendly. It may become excited or irritable and attack anything in its path. Staggering, convulsions, choking, frothing at the mouth and paralysis are sometimes seen. Many animals will make very unusual sounds. Infected animals usually die within one week after showing signs of rabies. Report all animal bites to your county health department, even if they seem minor. The phone number for your county health department can be found in the government listing of your telephone directory or the New York State Department of Health (NYSDOH) website. Try to keep track of the animal that exposed you and report this information to your county health department so the animal can be captured safely, if possible. In the case of a bat, you may be able to safely capture it yourself and take it to your county health department where it will be transferred to the state for rabies testing. To learn how to capture a bat safely, view a short video (1 minute 22 seconds). Healthy dogs, cats, ferrets and livestock that have bitten or otherwise caused a potential human exposure to rabies will be confined under the direction of the county health department and observed for ten days following the exposure. If the animal remains healthy during this period, the animal did not transmit rabies at the time of the bite. Other types of animals that cause a potential human exposure must be tested for rabies under the direction of the county health department. If an animal cannot be observed or tested for rabies, treatment may be necessary for the people exposed. Your county health department will assist you and your physician to determine whether treatment is necessary. Treatment after rabies exposure consists of a dose of human rabies immune globulin (HRIG) administered as soon as possible after exposure, plus 4 doses of rabies vaccine given over two weeks. If there is a wound, the full dose of HRIG should go into the wound, if possible. The first vaccine dose is given at the same time, with the remaining injections given on days 3, 7 and 14 following the initial injection. People who have weakened immune systems may require a fifth dose of vaccine, as determined by their doctor. A person who has already been vaccinated for rabies and is exposed to rabies must receive two booster vaccine doses three days apart immediately after exposure. They do not need an injection of HRIG. Exposure to a rabid animal does not always result in rabies. If treatment is initiated promptly following a rabies exposure, rabies can be prevented. If a rabies exposure is not treated and a person develops clinical signs of rabies, the disease almost always results in death. 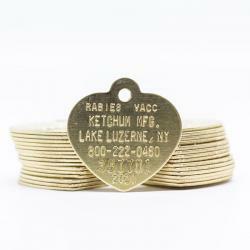 The best way to keep pets safe from rabies is to vaccinate them and keep their shots up-to-date. If your pet has been injured by a rabid animal, contact your veterinarian to get medical care. Even though your pet has been vaccinated, a booster dose of rabies vaccine may be needed within five days of the incident. Contact your county health department to determine what additional follow-up may be needed. Don't attract wild animals to your home or yard. Keep your property free of stored bird seed or other foods that may attract wild animals. Feed pets indoors. Tightly cap or put away garbage cans. Board up any openings to your attic, basement, porch or garage. Cap your chimney with screens. If nuisance wild animals are living in parts of your home, consult with a nuisance wildlife control expert about having them removed. You can find wildlife control experts, who work on a fee-for-service basis, in your telephone directory under pest control. 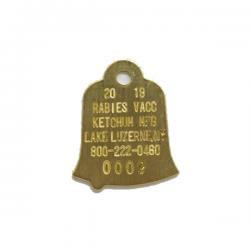 The county health department is your best source of additional rabies information. The phone number for your county health department can be found in the government listing of your telephone directory or the NYSDOH website. Note: all of the information above is the property of the New York State Department of Health.